The last two years have seen the conversation rapidly and very publically move towards an acceptance and understanding of mental health issues. With approximately over 50% of people waiting over 3 months for talking therapies, both the NHS and insurance firms are increasingly looking for scalable solutions that can have an actual lasting impact as more people are reaching out for help. As a result, one of the key trends in the mental health space is now on boosting resilience; the key factor proven to reduce the likelihood of developing mental health issues. It is about prevention rather than cure. With a plethora of apps out there, there is the continual risk that some of the tech and mindfulness apps built to help people with mental health can do more harm then good for the simple reason that very few of the tech solutions are conceptualized and built out by mental health practitioners, who have been at the forefront of treating patients. This is what makes apps like eQuoo so unique and potential game-changers in this space: based on real-time research, it is focused on building resilience in its users and designed from inception by Founder, Silja Litvin, who completed her masters in clinical psychology at the leading German University LMU, and went on to clinical training as a Systemic Family Practitioner after working with North East London NHS Foundation Trust in London and seeing patients privately. 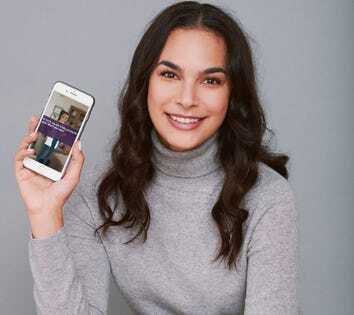 Litvin still practices and has a few pro-bono clients that she works with to stay connected with therapy whilst building out the app. eQuoo has been through a qualitative trial and it’s positive results have triggered the setup of a clinical trial with UCL University in London the next few months. The average mental health app has jump-off rates between 75 – 90%. This means that many of the apps are in reality completely ineffectual, as people are not sticking to mobile therapy. To stick with any kind of therapy you need motivation and drive which is deeply impaired by mental illness making it that much harder for these apps to have a positive long-lasting impact. In eQuoo you learn 2 psychological skills per level, skills like Generalisation, something we all do but is a typical symptom of depression when it gets out of balance: you take a situation and generalize it to your whole life. Example: one person doesn’t like you, ergo you’re unlikeable. After learning 2 such skills, you open an interactive story game, where you need to use the skills to level up and earn coins. When you learn something in an unexpected and fun way you release dopamine, which triggers 2 things: 1) You get a fun feeling of excitement and enjoyment and 2) it’s like a post-it note for the brain meaning that you’re much more likely to remember it at a later stage. Practicing the skill then in the game embeds it deeper in your memory, making it readily available for when you’re in a real-life emotionally and mentally stressful situation. Launched in July 2018 and organically grown to over 10,000 downloads eQuoo has won multi awards including at The EUROPAS, Pitch@Palace On Tour. Importantly, eQuoo received a top score by ORCHA, the UK’s leading health app assessment platform and have teamed up with some of the most respected mental health charities such as Mental Health America and Minds Ahead. Free to play, eQuoo offers in-app purchases at £0.99 a skill package where you can practice the skills in depth. Silja and her team are currently going through TechStars in Berlin and are raising an initial seed round after bootstrapping the game for half a year. With the support of one of the worlds leading accelerators, Litvin may very well be able to fulfill her and her teams dream of bringing resilience and mental well-being into every young persons reach.